On the whole, the Canadian financial sector is mostly comprised of banks, trust and loan companies, credit unions. This sector is a significant contributor to Canadian economy and also provides the means for Canadians to perform daily financial transactions, including chequing and savings transactions, as well as managing their own personal financial wealth. A large part of the financial movements made by consumers in Canada, include the use of a credit card. As a matter of fact, Canada has one of the most sophisticated credit card processing systems in the world. Credit cards are available at many of the leading financial institutions across the country, as well as some smaller banks and credit unions. Canadian residents have access to a variety of major credit cards as well as retail store credit cards. This allows consumers to make purchases on a wide range of products and services, with the understanding that that they will pay back the balance in monthly installments. Each credit card comes with its own set of advantages, whether it will be low interest rates, reward points, cash back, and so on. 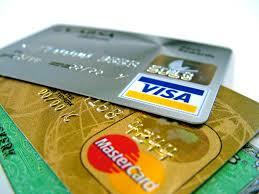 Credit cards themselves are designed to meet the individual needs and profile for a wide range of group profiles. For example, the type of credit card a financial institution will offer to student will not be the same card that will be best for a small business owner. At each credit card company, a variety of card choices will be available to each applicant and reflect their financial desires. 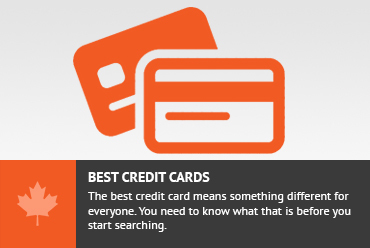 With as many as 200 or more cards offered by credit card companies in Canada to choose from, consumers may find themselves in an overwhelming predicament, however after taking a closer look at the availability, it is likely they will realized having many options is actually a very good predicament to be in and they will be able to find a card that suits them. Some of the major credit card companies that have become household names are, MasterCard, Visa, and American Express (AMEX). Most credit card options are issued at many well-known financial institutions including, TD Canada Trust, BMO Bank of Montreal, Scotiabank, and RBC Royal Bank. MasterCard is one of the leading companies in the financial industry. For over four decades it has provided its support to other financial institutions, millions of businesses and hundreds of millions of cardholders all over the world. It offers a wide range of services and card choices including, Credit Cards, Debit Cards, and Prepaid Cards. Also one of the top credit card companies in the country is Visa Canada. It connects businesses, financial institutions and governments in more than 200 global countries through VisaNet, which acts as one of the world’s most advanced processing networks. As well as issuing credit cards, Visa also offers debit, and prepaid card options to its consumers. American Express, is a global leader not only supplying consumers with credit cards but is also known for its range of offerings that include, travellers cheques, travel and financial planning, investment products, insurance packages, as well as its international banking presence. In Canada, the company operates as Amex Canada, and supports Canadian companies to manage all of their business related expenses. While Visa and MasterCard maintain a partnership with financial institutions all over the world, American Express remains independent. If applying for an Amex card, individuals will apply directly to the company, while Visa and MasterCard options are available at various financial institutions. With the wide range of credit card selection in Canada, consumers should examine the various options before applying. Some cards can be applied for online and also approved within a shorter period of time, and this may also be convenient choice for some Canadians card users. Earn a Welcome Bonus of 25,000 Membership Rewards® points – our highest Gold Rewards Card offer – just by making $500 in purchases in the first three months of card membership. Additional conditions do apply for many of the credit cards available, including the above mentioned. As no two credit cards are the same, consumers should learn more about the various options that exist in order to make the right choice and not find themselves with a card that does not provide the advantages they require. As a rule, credit card companies are aware of what consumers want and also what they need to contend with their personal financial demands. Canadian companies also offer a variety of incentives that will nudge potential cardholders in the direction of a particular card. Credit card companies in Canada are eager to do business with consumers, and although these incentives and bonus rewards can be highly appealing at first glance, consumers should gather all of the necessary information so that they can be prepared, less overwhelmed, and better equip to choose wisely. Don't subscribe All Replies to my comments Notify me of followup comments via e-mail. You can also <a href='https://www.creditwalk.ca/comment-subscriptions/?srp=61&srk=2648578ecea05c83754707575dc5a494&sra=s&srsrc=f'>subscribe</a> without commenting.